After sacking the pā at Kaiapoi in late 1831 or early 1832, Te Rauparaha returned to Akaroa Harbour, where he had seized the Ngāi Tahu chief Te Maiharanui (Tama-i-hara-nui). In anticipation of this, Ngai Tahu of Banks Peninsula had built a pā on the Ōnawe Peninsula. 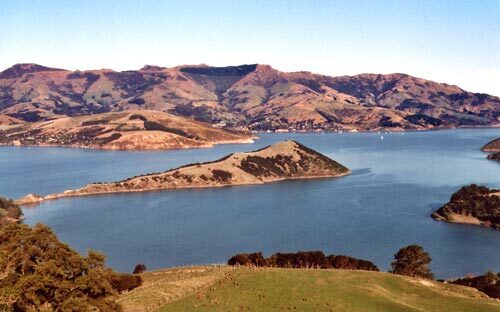 This photograph shows the peninsula, jutting out into Akaroa Harbour. Te Rauparaha took the pā, but this was as far south as he penetrated. Southern Ngāi Tahu later regrouped to take the fighting to the north of the South Island.